Although three in four respondents (76 percent) said sight is the most important sense, findings from the survey of 1,000 US parents revealed their attitudes don’t match their actions for themselves and their kids. According to the American Optometric Association (AOA), kids should have a first comprehensive vison assessment at six months to ensure the eyes are working together and to detect any vision problems early; followed by a comprehensive eye exam at three years old, five years old, and annually throughout the school years. However, one in five parents (21 percent) did not take their kids to the eye doctor for the first time until they were school age (at least five years old). Additionally, one in 10 (13 percent) has never taken their child(ren) to the eye doctor. The survey uncovered other key barriers that prevent parents from getting an annual eye exam for their children. Parents incorrectly assume school or pediatric vision screenings are the same as a comprehensive eye exam. More than one-third (37 percent) of moms said they skipped eye exams because their kids already have their eyes checked in school. Vision screenings only test for distance vision and visual sharpness, and can miss up to 80 percent of vision problems, including serious conditions like amblyopia (lazy eye), which can lead to vision loss if not treated. A child can easily pass a vision screening, but not be able to see well enough to read a book. During a comprehensive eye exam, optometrists look at things a school vision screening will not, such as family medical history, the overall health of the eyes, how the eyes work together, and their ability to focus. Additionally, an annual eye exam can improve more than just eyesight. Optometrists can detect other health problems including diabetes and hypertension. Parents are delaying eye exams – and vision insurance– until kids start school. One in four parents surveyed didn’t take their children to the eye doctor until they were at least five years old, and vision insurance may have something to do with it. For 23 percent of moms surveyed, obtaining vision insurance is the biggest barrier to taking their kids for an eye exam. However, 30 percent said having vision insurance would motivate them to change that. Only 11 percent of kids join the family’s vision insurance plan at birth according to VSP claims data. 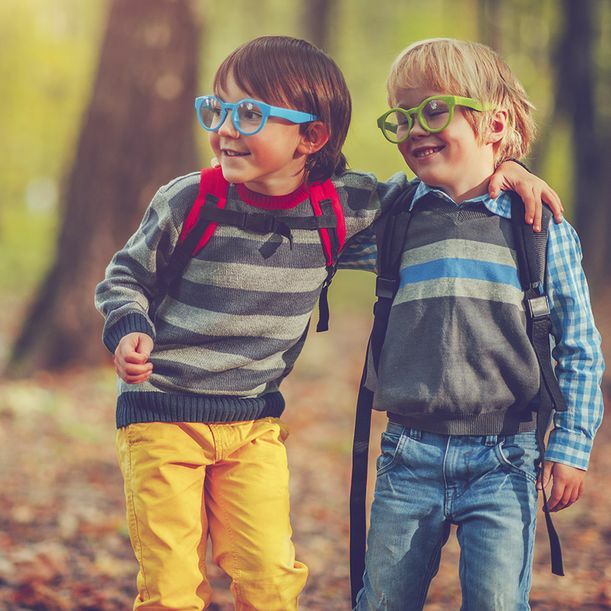 Even though many common vision problems are detectable from infancy, most parents start using their vision benefits for their kids when they reach school age. VSP findings show 45 percent of kids have had an eye exam above the age of six, compared to 10 percent for those between ages zero and five. This is a missed opportunity given that 90 percent of brain development occurs between birth and five years old. Long before most kids step foot into a classroom, the foundation is being laid for a lifetime of learning, and without proper vision, that foundation is weaker than it should be. They’re more apt to take kids to the eye doctor when something is wrong, instead of going proactively. Among parents who do not bring their children to the eye doctor annually, 72 percent of moms and 48 percent of dads said they would be motivated to do so if their child complains of discomfort or changes in vision. Just like the rest of the body, a child’s eyesight can change in just a year – in some cases it can mean the difference between needing glasses or not. Yearly eye exams can help parents and their children stay on top of vision and prescription changes. YouGov is a leading international full-service research and consulting company and a pioneer in the use of technology to collect higher-quality, in-depth data for the world's leading businesses and institutions so that they can better serve the people that sustain them. With offices throughout the US, UK, Europe, the Middle East and Asia, YouGov leverages its online sampling, research expertise and consulting experience to provide clients with sophisticated market strategy, market analytics, and survey and forecasting services. All figures, unless otherwise stated, are from YouGov. Total sample size was 1011 adults. The sample was split into three groups, with one being 256 women age 30-55, with children under 18, household income between $50,000 and $150,000, and with at least some college education; the second being men with the same qualifications; and the third being parents who did not fit into those categories. Fieldwork was conducted between June 16-23, 2017. The survey was carried out online.